The Sun, The Moon and The Stars!! Do you have a special place or box where you keep special things? 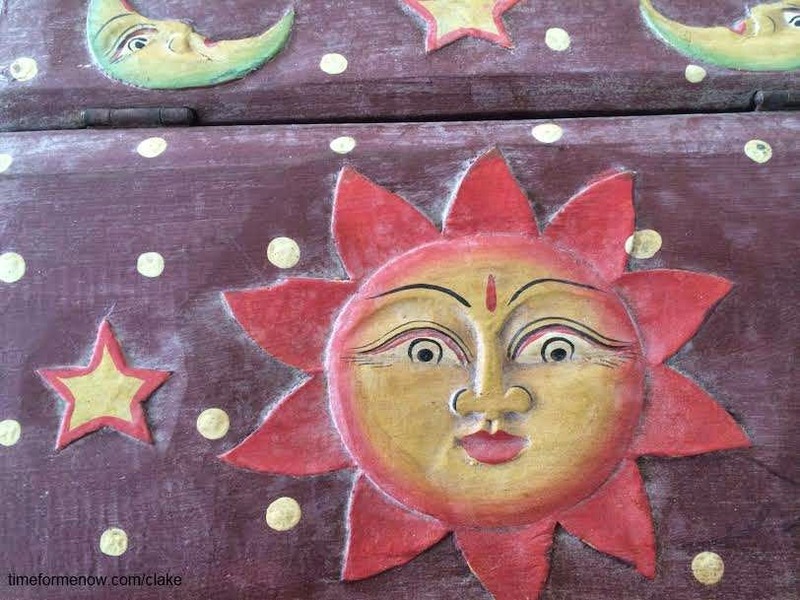 I have a special box, it is wooden with the sun, stars and crescent moon shapes. This box is very special to me, as inside are written words of dreams that I have achieved and those dreams yet realized. It's fun to open up my box flipping through the various papers and objects that have significant meaning to me. Does the weather play a role in focus and activity in your life? I know when it is cold, cloudy and gloomy my activity level and desire to achieve tends to move as slow as a turtle. The past two months have been really hard on so many people with snow, wind, rain, ice and negative degree temperatures. Though my weather has been mild compared to others, there have been days that my actions towards goals or dreams has been slow, very slow! All of us, even coaches, can get derailed or affected by the energy levels and even the weather, keeping us from moving closer to our goals or dreams! Time for me now to get moving and get into ACTION!! Today is a new moon phase, the New Moon! I love the New Moon as it brings about a sense of new beginnings! A chance to dust off our goals, our dreams and evaluate. A clean canvas! Early this morning I opened up my box and spent some time reading and reviewing exactly all the things I have gotten accomplished. Then began thinking about my next dream, a really really big dream. What resources or support would I need to accomplish this dream? What action steps would I need to put into motion? How long would it take me? How could I develop this Dream serve others? Measure- ability to go back and see just how much activity and progress you have made. This New Moon- DREAM BIG!! It is only the second month of the year with plenty of time to adjust! Dream Big, you deserve it! Within you is the Strength, Power, Patience and Passion to Receive! Here's to igniting a really Big Dream today!